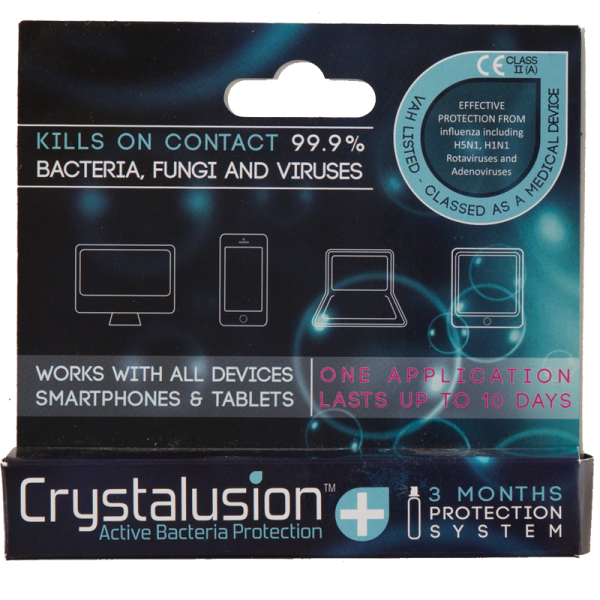 Crystalusion Plus™- Active Bacteria Protection is universal and can be used to disinfect all devices including; smartphones, cameras, TVs, tablets, PCs. 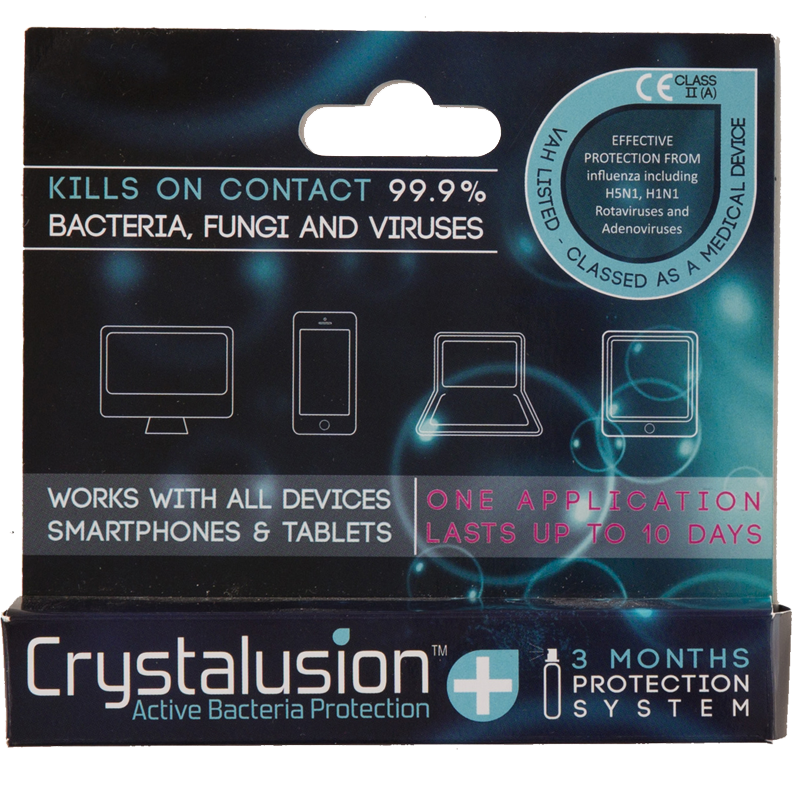 With Crystalusion Plus™ you can obtain 10 days of bacteria free protection. 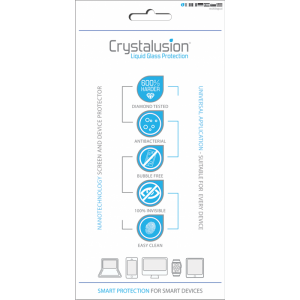 With 1 pack you can protect 1 smartphone for up to 3 months with frequent usage or 12 multimedia devices for 10 days.